You'll find more than fishing supplies at the Ship's Store in Pirate's Cove Marina. 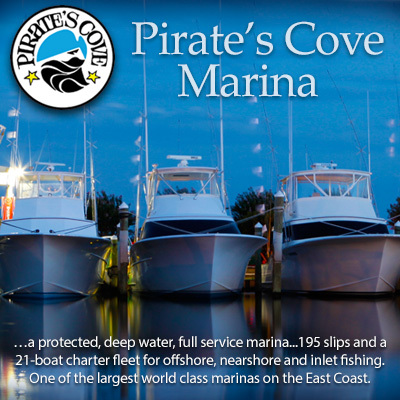 In addition to rods, reels, bait and tackle, we house name-brand and Pirate's Cove branded apparel, gifts, books, flags, groceries, coffee, beer and wine. Stop in to renew or register for your fishing license, gas up and gather the provisions you'll need to set out in comfort and style. We're open daily from 8 a.m. to 5 p.m.